Sometimes it’s the simplest interactions that lead to likeability, and like many things, it’s hard to understand why until you go back to the root cause of what makes people likable. We like people who make us feel good about ourselves. Here’s a case in point. Just yesterday I was walking along Wailea-Alanui Avenue in South Maui. It’s a beautiful stretch of beach road that hugs the ocean with five star hotels on one side and manicured golf courses on the other. Guests from all over the world vacation on this part of the island and use it as a jumping off spot for their excursions to all the wonderful sites Maui has to offer. I act this way and so do you, because we like how we feel about ourselves when we’re in a position to help people. 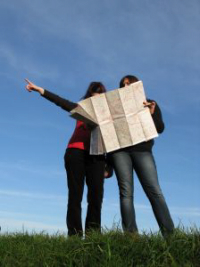 Giving directions to strangers makes us feel smart and knowledgeable and special. It also causes us to like the person asking for directions because they’re the reason we’re able to show off what we know. 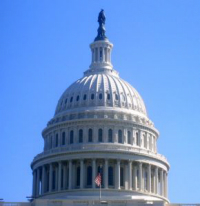 Years ago I was invited to Washington, D.C. to give a sales presentation to a potential customer on why Sommers Communication was the most qualified company to create a customer service training program for their company. I was the first of three people to give my presentation to the department head (who I knew to be the decision maker) along with her staff of six people. We were each given 20 minutes to discuss our plans for the video project while our competitors waited outside. After I gave my presentation, the department head asked if I would come back in 40 minutes to meet with her and the other presenters to discuss the project further as a group. When I returned, she indicated in a very business like manner, that she and her staff were going to make their final decision in the next seven days. OMG did she light up. All of a sudden the conversion went from a stoic business conversation to, “You’re girls are going to love this and your wife is going to love that and you’re going to really enjoy this, etc.” As it turned out, she was from D.C. and had a brother who owned a restaurant in Arlington. (Where do you think he had lunch that afternoon?) She wouldn’t let him leave until she was persuaded that he knew exactly how to get to each of the places she suggested. As things turned out, Sommers Communication did not win that contract. My new likeability mentor from Des Moines produced the video and he did a great job with it. His proposal was good, but his ability to win friends was better. And he did it by asking for directions. The next time you find yourself in a position where you want to build a relationship with someone, ask for directions. In doing so you will give the person you ask the opportunity to show off what they know and feel good about themself for helping you. As I mentioned in the opening paragraph, it’s the simplest interactions that lead to likeability, and what could be easier than asking for directions?